We saw this prep of Sri-Lankan Chicken Curry, while following one of the popular food shows (Food Safari), and thought of trying it out, obviously after making some changes to suit our Bengali taste buds. For any Sri Lankan or any South Indian curry dish, you will find that leaving out some of the curry leaves can be blasphemous. This dish for example used both the curry and pandan leaves. We have however omitted both to suit our taste buds. You may use them if you wish. 600/700 gm chicken chunks diced and washed as per your liking. Note: Don’t use Turmeric. Completely screws up the prep. Finely chop the onion (you can also grind it in a grinder, but be careful of not smashing it all together) and keep aside. 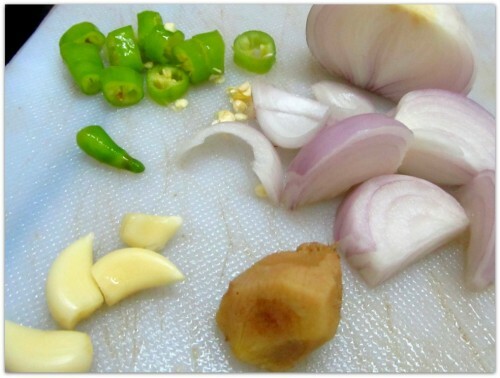 Make a paste of the ginger, garlic and the chili and keep aside as well. 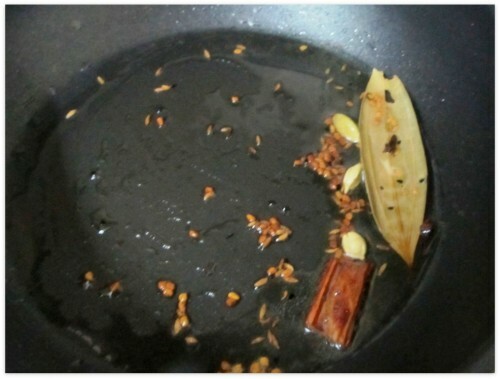 Heat up some oil in a flat bottomed kadai, and add the single bay leaf and the fenugreek (methi). Keep it at medium heat. 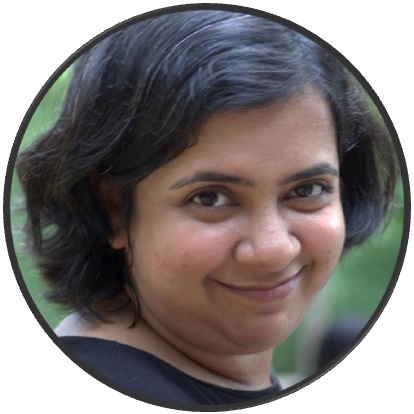 Let it be, till you smell the methi out of the kadai. Add the whole cinnamon, cloves, cardamom stick and wait for about half a minute. 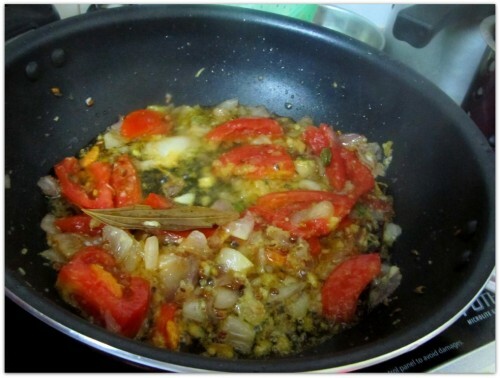 Add the chopped onions, the salt and fry the mixture till the onions start changing color. Throw in the ginger-garlic-chilli paste. 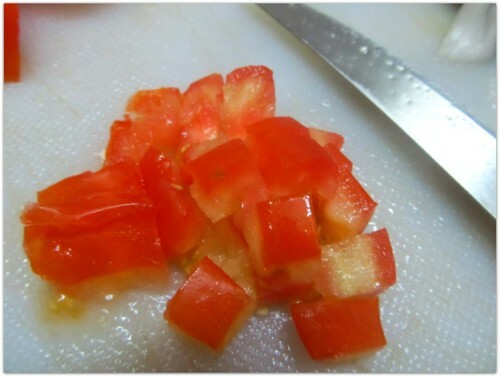 Dice the tomato (you may as well make a paste out of it in your grinder), and add to the mixture. 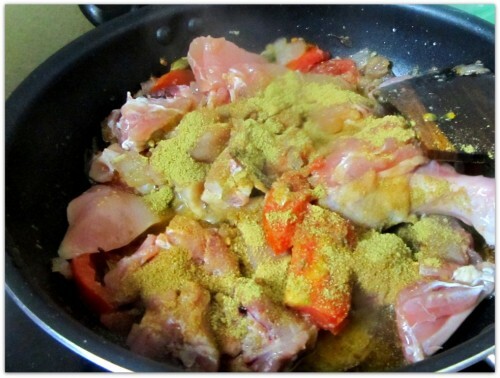 Mix for about a minute and throw in the chicken chunks. Add the ground spices (cinnamon, coriander, cumin). This step is extremely critical, as it is the vinegar, that will soften the chicken and bring the water out of it to make a thick gravy. Dice the potatoes in whatever large chunky way you feel like. Mix well. Keep the heat down. Lid the mixture off for about 20-25 minutes. If the chicken chunks have sufficiently softened to your liking add about 200 ml of coconut milk in the mixture and lid cook for another 5-6 mins. 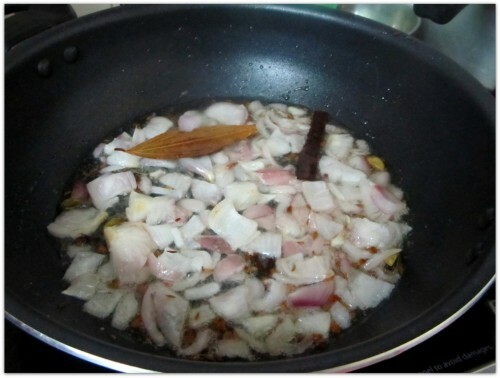 Fry the fenugreek in olive/vegetable oil for and the bay leaf till you get the smell of the fenugreek. 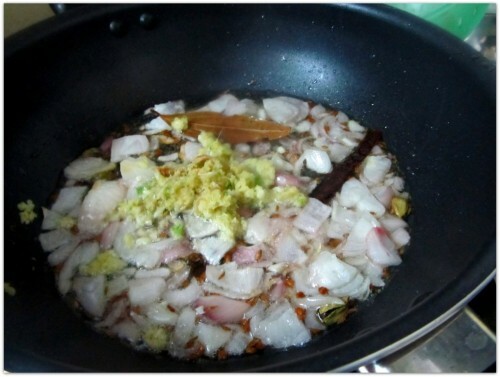 Add the chopped onions, salt and fry till they start changing color. 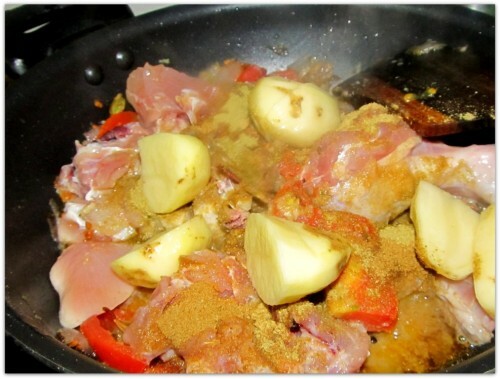 Make a paste of a small ginger, 4-5 garlic cloves and a green chili, and add to the mixture. 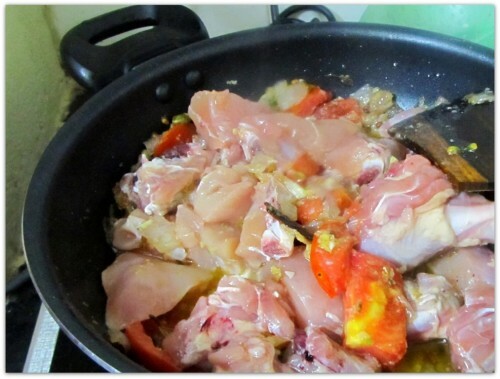 Add the chopped tomato and the chicken chunks. Add the ground spices and mix well for about a minute. Dice the potato into large chunks and throw in to the mixture. Add vinegar and cook in low heat for about 20-25 minutes. Add the thick coconut milk and cook for another 5-6 minutes. 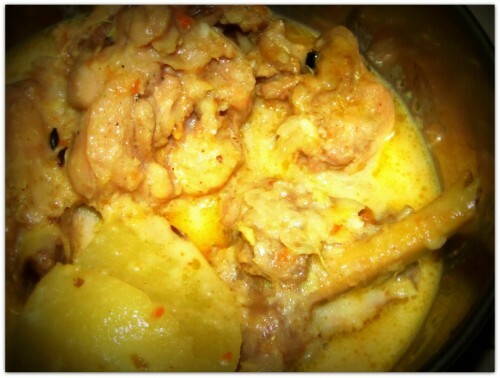 Can you please help me out with the recipe of “Chitol Machher Muitha”?